We are pleased to release new British Election Study insights into the Brexit vote. In this blog we explore some of the deeper features of a nation divided by support for Leave or Remain. These divisions help us to understand the routes to Brexit and the context in which forthcoming Brexit negotiations, outcomes and effects will be judged. 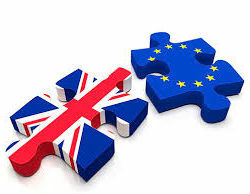 We also consider some of the potential consequences of the EU referendum for the British electorate. The data come from the newly released post-EU referendum data, wave 9 of the British Election Study Internet Panel, available for download here. The relationship between support for Brexit and demographics are well documented. On average, Remain voters were likely to be younger, a graduate of a university, receiving a higher income and less likely to be white. There is a strong relationship between actual and potential UKIP support and support for Leave, and the geographic distribution of support for Leave and Remain – reflecting these differences – has been widely documented elsewhere. Before the official campaign, Leave voters cared most about immigration and Remain voters about the economy, and this changed little up to June 23rd. But what about the more visceral differences in the UK electorate motivating, and revealed by, the votes for Leave and Remain on June 23rd 2016? In four respects – the lack of control people feel they have over their lives, the sense that things in Britain were better in the past, the degree to which people have ‘social capital’, and a distrust of experts – Brexit voters display a deeper sense of alienation, as revealed below. ‘Vote Leave, take control’ – the Leave campaign’s central slogan was ostensibly about restoring British control over laws and public policy. However our data suggests that this slogan may also have tapped into something more fundamental to some people’s lives. In psychology, ‘locus of control’ is the extent that people feel they are in control over what happens to them. People with an internal locus of control think they are themselves largely responsible for the things that happen to them, whilst those with an external locus of control tend to believe things are controlled by outside forces they cannot influence, such as other people, fate, or chance. Recent research found that locus of control helps to explain anti-immigrant attitudes. Those with a strong internal locus of control feel that they are in control of their lives, so they will feel less threatened by the changes to society brought about by immigration. Those with an external locus of control are more likely to blame others – such as immigrants – for any misfortunes that befall them, or may potentially befall them. In our surveys we measured locus of control by asking respondents how much they agreed with two questions – ‘Many times I feel that I have little influence over the things that happen to me’ and ‘When I make plans, I am almost certain that I can make them work’. Combining answers to these questions into a scale (where higher numbers mean higher internal locus of control) shows a clear relationship with vote choice in the EU referendum. The graph below shows the relationship between locus of control and Leave voting from a bivariate logistic regression model, measured by the predicted probability of voting Leave at different levels of locus of control. Those with an external locus of control were much more likely to vote Leave (and take control) than those with an internal locus of control. From Nigel Farage likening the EU referendum to the Battle of Britain, to Daniel Hannan arguing that Britain’s future lay in closer ties with former Imperial possessions, the past was a constant presence in the build-up to the EU referendum. Before the referendum it was argued that Britain is increasingly divided between cosmopolitan areas and provincial backwaters. One of the defining features of those outside of cosmopolitan areas is a nostalgic view of Britain’s past and a desire to turn back the clock. A sense of national decline was a defining feature of the divide between Leave and Remain voters. We asked our respondents how much they agreed or disagreed with the statement ‘things in Britain were better in the past’. As the chart below shows there is a very strong relationship between thinking that things in Britain have got worse and voting Leave. Fewer than 15% of those who strongly disagreed that things in Britain were better in the past voted to Leave the EU while nearly 80% of those who strongly agreed did so. Social capital is the resource that arises from interpersonal networks and the norms of trust and reciprocity that facilitate social interaction within them – the ‘glue’ which helps society function. Those with high social capital can draw on the people they know – family, friends, and community – for support in all aspects of life. High social capital has been linked with positive outcomes in a range of areas, from better government, higher levels of health and education, lower levels of crime, and even less tax evasion. People with high social capital may be better able to adapt to changes in their personal situation and changes in their communities because they are able to draw on more extensive social networks. Previous research has shown that people with high social capital are more open to economic globalisation and more positive about immigration. In the BES EU referendum panel we measure social capital in two ways. First, we use a ‘resource generator’ battery of questions which asks respondents whether they know certain types of people. Second, we ask about generalised social trust – whether ‘most people can be trusted’, or that ‘you can’t be too careful’. Both of these measures show a very clear relationship with support for Brexit. The graph below illustrates the relationship between social capital as measured by the resource generator and the likelihood of voting Leave estimated by a nonparametric local polynomial regression. It shows a strong trend between social capital and Leave voting – those with the lowest levels of social capital are almost twice as likely to have voted Leave as those with the highest levels. Similarly, the generalised social trust question shows a clear division between those who say that most people can be trusted, amongst whom 40.1% voted Leave, and those who said you can’t be too careful, 63.6% of whom voted Leave. However, while Leave voters are less likely to trust others, and less likely to have strong social capital as well, they are more likely to agree to the statement, “I’d rather put my trust in the wisdom of ordinary people than the opinions of experts”. Those who strongly agreed with this statement, which we asked during the daily official campaign, were much more likely to vote Leave. For low trust voters, the desire to reject the advice of experts and trust ‘ordinary people’ may help us understand, in part, why economic predictions seemed to have so little cut-through. Implications of the referendum vote? The aftermath of the Scottish independence referendum saw a rapid realignment of the Scottish party system, with independence supporters flocking to the SNP. Before the EU referendum we speculated as to whether the EU referendum could have a similar effect. Although the polls suggest that no similar partisan realignment has taken place after the EU referendum, our data suggests that the Leave/Remain cleavage has the potential to play an important role in the future of British elections. At the Scottish referendum the combination of a large number of independence supporting Labour voters and an explicitly unionist Labour party created a dilemma for independence voting Labour supporters. For most of the people facing this problem the dilemma was solved by dropping their Labour identity entirely and shifting support to the SNP. Referendums have the potential to create political upheaval because they are often held on issues that cut across the usual political divisions. As the following figure shows, which shows EU referendum reported vote against 2015 General Election reported vote, every political party had supporters in favour of Leave and Remain; just to a different extent. In the three waves of our EU referendum panel we asked a subset of our respondents whether they saw themselves as closer to the Leave or Remain campaign, followed by a series of questions designed to measure how strongly people identify with a social group, such as whether they usually say “we” instead of “they” when talking about the group or whether they have a lot in common with other Leave/Remain supporters. We then combine these questions into a four point scale, where one is the weakest level of identity and four the strongest. The figure below shows how the average strength of identification with the Leave and Remain sides evolved over the referendum campaign (using local polynomial smoothed estimates) and how those identities changed in the immediate aftermaths of the result. At the beginning of the time series, Leave supporters tended to identify with the Leave campaign more strongly than Remainers. From the last month of the campaign onwards, however, the strength of Remain identity increased markedly. By the end of the campaign the two sides had almost equal strengths of identity. What is really striking is how these identities change in the immediate aftermath of the referendum – the strength of Leave identity drops slightly and the strength of Remain identity jumps dramatically. These data show that the EU referendum vote crystallised a political cleavage in much the same way as happened in the Scottish referendum. Unlike the Scottish referendum however, the EU referendum has not caused an immediate overhaul of the party system. With prominent Leave and Remain campaigners from across the political spectrum, the EU referendum may have created less of an immediate dilemma for party supporters. We also measured levels of party identification using the same questions – the average strength of identification with a party is 2.3 – lower than the average level of identification with either Leave or Remain. The strength of these new identities suggests that – in the right circumstances – this new cleavage could yet disrupt British politics. Finally, in considering the implications of the Brexit vote for the British electorate, we look at the extent of ‘Bregret’ (regretting a vote for Brexit) and whether it was sufficient in scale to matter. We asked voters on both sides (whether they voted Leave or Remain) “do you have any regrets about the way you voted in the EU referendum?” The results in the table below show that, while there certainly are more people who regret their vote to Leave, the vast majority of both Leave and Remain voters did not regret the way they voted immediately after the referendum. It is also important to remember that it is easier to regret something if it actually ended up happening than if it didn’t. We therefore don’t know whether the newspapers would have been filled with stories of regretful Remain voters wishing they had taken the chance to leave Brussels forever if the vote had gone the other way. But is 6% a small amount of regret or a lot? One way to assess the amount of regret is to compare with how many people regretted how they voted in the General Election last year (when we asked an equivalent question). Overall, 4% of voters regretted how they voted in May 2015, the highest proportion being Liberal Democrats (8%) and Green voters (6%), perhaps because in the absence of a hung parliament these votes were deemed wasted. There was little evidence of a comparable winner’s regret, Conservative voters being less likely to regret than average (3%). Whilst the difference in regret of 6% to 1% would have been enough to swing the referendum outcome had people voted in the opposite way, the level of regret is consistent with what we saw at the general election. The popular narrative about Bregret was that many Leave voters had not really expected to win and voted to Leave out of protest or just to give the political elite a bloody nose. We can look at this using our wave 8 (daily campaign) question “How likely do you think it is that the UK will vote to leave the EU?” with answers given from 0-100. The figure below shows that there is some truth in this interpretation. For Leave voters the chance of regret decreased from about one in ten for those that thought they were certain to lose, to about one in twenty five for those who expected to win. Overall, 8% of Leave voters who expected to lose regretted voting to Leave – 2% more than the overall figure for Leave voters. There was little evidence of any equivalent relationship for Remain voters except that those who felt certain to lose were a little more likely to regret voting to Remain. Perhaps they just regretted wasting their time. Before getting too carried away, however, we should not assume that most Leave voters actually expected to lose. Whilst those expecting to lose were more likely to regret their vote, they were also in a minority. The graph below clearly shows that both Remain and Leave voters generally expected that their side would win or that it was completely uncertain (as shown by the large spike at 50%). In fact, Leave voters were more likely to expect a Leave victory (64%) than Remain voters were to expect a Remain victory (62%). Overall, the narrative of surprised and regretful Leave voters has some truth but only for a small minority of voters. It also has some truth in the surveys we fielded immediately after the referendum result, but we do not know – yet – whether these feelings of regret will disperse once the implications of Brexit become clearer, or whether they may eventually become accentuated.